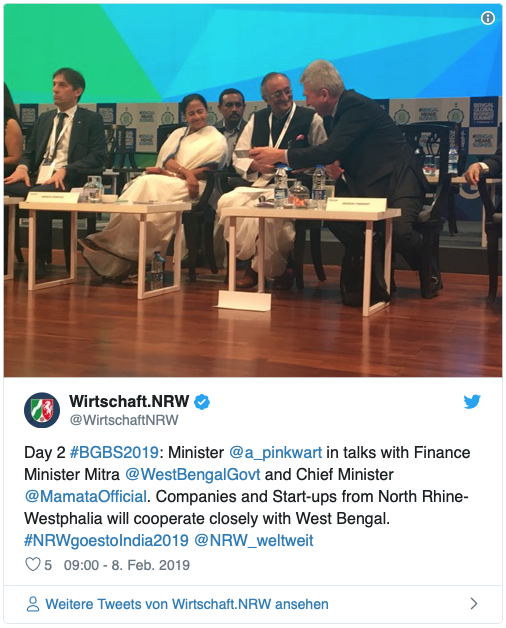 The "NRW goes to India" delegation journey came to an end in Kolkata at the Bengal Global Business Summit. During this visit to Delhi, Bangalore and Kolkata, many contacts and promising agreements could be made by IGCHE. 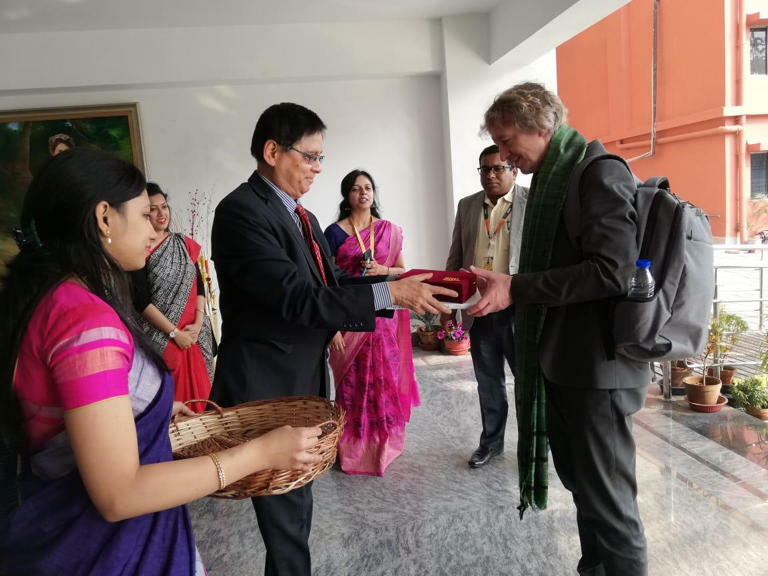 Prof. Dr. Dirk Fröhling, Chairman of the Indo-German Center for Higher Education (IGCHE), visits Sister Nivedita University (part of Techno India Group) in Kolkata to discuss about partnering with IGCHE. The NRW Business Seminar which took place at Leela Palace and Shangri La Hotel in Bangalore was a great opportunity to meet old and new partners from industry and education. 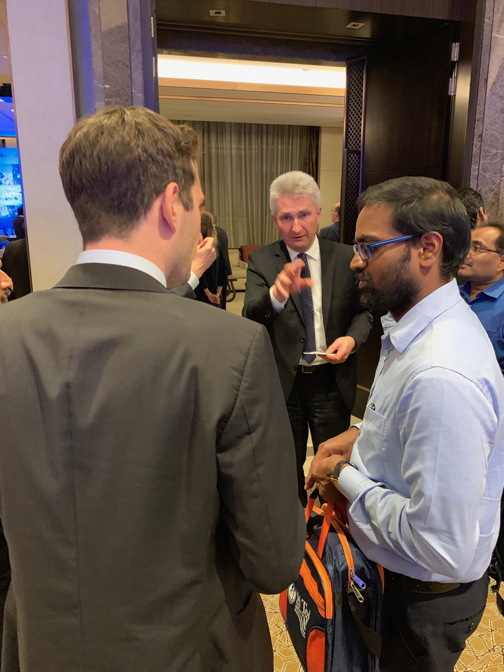 Indian companies like Tata Consultancy Services expand their business in Germany and are looking for highly-skilled employees who feel at home in both cultures. 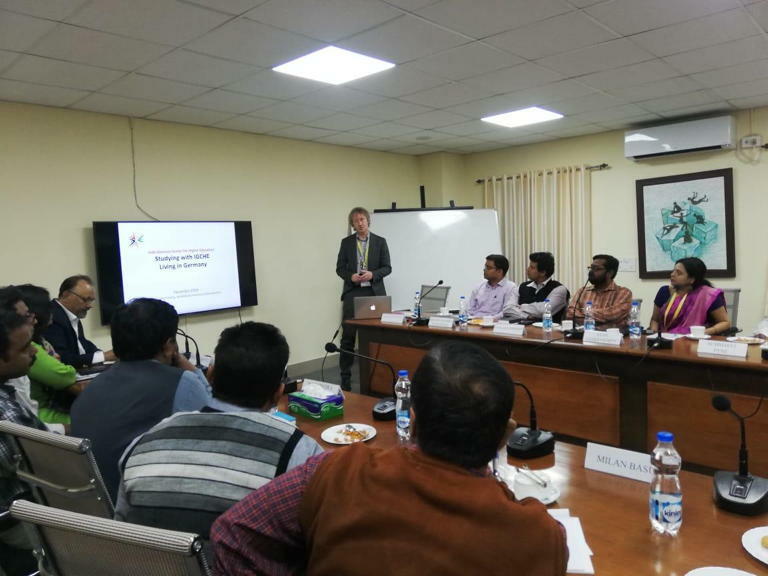 IGCHE students and graduates meet this requirement, so TCS and IGCHE intend to talk about cooperation. On February 5th there will be a business meeting on digital transformation in Germany. 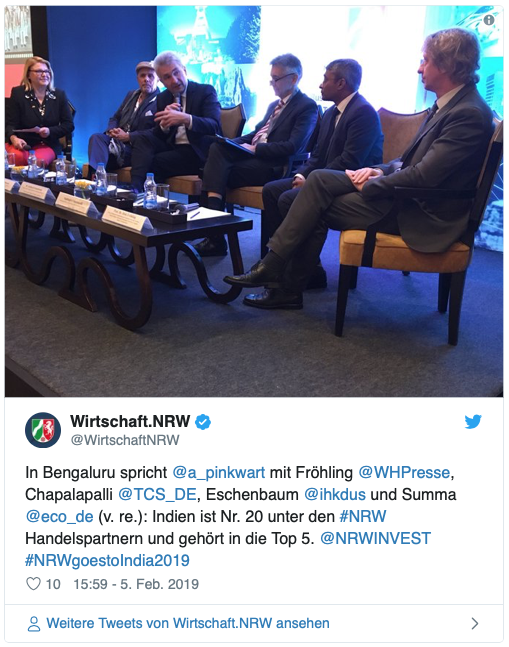 It is organised by the Ministry of Economic Affairs, Innovation, Digitalization and Energy of the State of North Rhine-Westphalia and takes place in Bangalore. There will be a panel discussion with the Minister, industry representatives and IGCHE.